Please allow me to introduce to you today, a really awesome woman and blogger: Nayuleska from Nayu's Reading Corner. I've followed her blog for such a long time, and I really think she's great. And after reading her brilliant answers below, I can't help but be in awe of her many interests and role models! Hi everyone! I'm Nayuleska, founder and administrator of the book review blog Nayu's Reading Corner. NRC's full of books of most genres - I love them all too much to settle down to just one or two. When I'm not working part time at a local university, I can be found reading (naturally), video gaming (Final Fantasy rules! ), watching anime (great practice for Japanese - I try to watch without subs now), knitting & cross stitching (usually while watching DVDs), watching Winx (which has to have its own section because its so much fun!). I'm also busy working on my wips, preparing for my launch into Query Land hopefully later on this summer. I write Young Adult and Children's books, focusing on fantasy and science fiction. I frequently have 'intense discussions' with my Muse, and enjoy all aspects of the writing process. I'm a huge fan of anime, which is helping maintain my Japanese learning which is on hold due to health reasons. I had more than one! 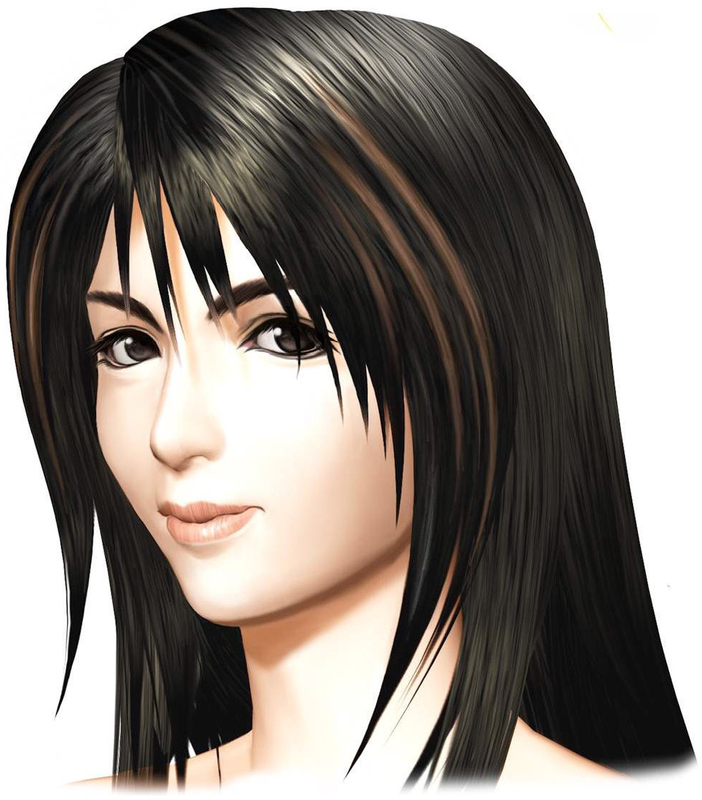 *looks away* ...Disney Princesses (who I still love), characters in books, Rinoa from Final Fantasy 8, Aeris & Tifa from Final Fantasy 7, Padme/Amidala in Star Wars. There isn't anyone specific who I look up to now, but from the past I look up at Khadija, the first wife of the Prophet Muhammed (peace and blessings be on him): she was an astute business woman, who had her own caravans and was valued as a trader. I also look up to Aisha, the Prophet Muhammed's (pbuh) wife after Khadija died, who always tried her best, even if sometimes things went a bit wrong. Her inner strength and Khadija's intelligence are qualities I try to incorporate in life. This is funny because I was thinking about this the other day! Let's see....a diplomat, an ambassador, a translator, an interpretor, an architect, a writer (see, that's one I'm still working on! ), a member of the armed forces (ideally special forces) - but due to health reasons that one never came true, which is probably why I have such a fascination with them in books and dvds). I like this question. 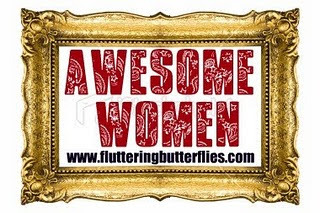 All the women who've had an effect on me are hardworking, caring, helpful to others. They keep persevering, especially in hard times. They have an inner strength and love of life that is really inspiring. Some are also very good cooks - I never say no to a cookie or a cupcake! (Favourite combos of flavour include white chocolate and raspberry, butterscotch, and classic vanilla). See I always have trouble picking just one! I'll be good and pick one of my favourites. 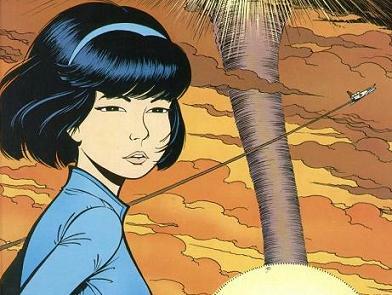 Her name is Yoko Tsuno, she's got her own graphic novel series. I don't know if they are in English, but they are in French. I've got the first book about her early life, and a few of the graphic novels. It took me a while for my French to become good enough that I could understand about her character when she was little. I love how resourceful she is, how she doesn't really panic when problems arise. I love the weapons she gets to use (its been a while but I'm pretty sure she has a few), the different people she gets to meet and save. She was everything I wanted in a character, with much prettier costumes than Lara Croft. Life as a teenager was interesting for my family. I think I struggled a bit more with all the changes, because at the same time I had a few changes in my health too. I know I had a low self-esteem, I was always trying to fit in at school, which wasn't easy when I used a laptop instead of a pen, had to have assistance in getting to class and that sort of thing. The only way I coped was by reading. By being someone else (back then I only read books with females as the protagonist), I was able to be normal (not that a heroine is ever normal! ), I had somewhere to go where no-one cared what I did/couldn't do. 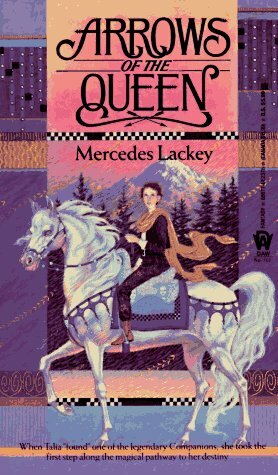 It was then that I discovered my love of fantasy, when I read one of Mercedes Lackey's books, Arrows of the Queen (or whichever is the 2nd in that trilogy). Talia remains one of my favourite characters. Ignore other people. Don't be forced to change. 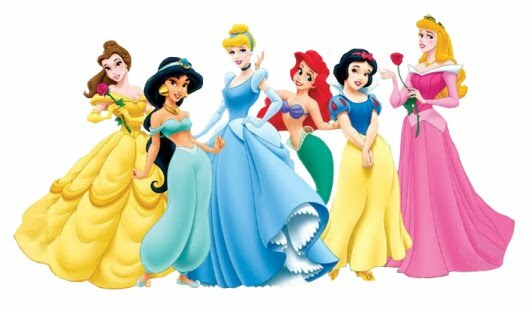 I loved pretty dresses and Disney. Due to teasing at school and the whole peer pressure thing, I gave up the gorgeous clothes all for the sake of fitting in. I was never all that happy - and now I'm happy in liking girly things, and being a huge Disney Princess fan (& Winx fan...and anime fan). Becoming an adult has been very liberating. Hopefully I can say this without it sounding too weird, but I love reading and writing about girls/women who are abused. This could be domestic violence, or bullying. I have special interest in human trafficking for the sake of prostitution. It is one of the disgusting, degrading and immoral acts on earth. I first learnt about this when I was 13/14. I was reading Anne McCaffrey's Acorna series (which I'm now re-reading the first few books, and reading the rest for the first time). Learning about the sweat shops and how Acorna freed the girls from the brothels really spoke to my heart. I had no idea what went on in the world (I was pretty sheltered as a child). I was disgusted by what men felt they needed to do. I wanted to save all the girls in the world, get them out of that situation. Now - well, I hope that I can be published and alert others about the plight of thousands of girls. I have a small plug to Transitions Global, a charity who do the amazing thing of rescuing girls (America/Cambodia/India) from the brothels, give them therapy & education, help them gain self-esteem, bring the very bad people to justice. If I get published I hope to be able to help Transitions Global with their work. Did I already mention that I love anime (& Winx Club!)? Heehee. I love all things sweet, I love to drink milkshakes (I make my own using real chocolate, or hot chocolate powder, or coffee (put in coffee granules, add splash of hot water to dissolve, then add 1 tsp of honey and fill with milk). Vanilla tends to be my favourite flavour for most things, although I often choose others. Recently I saw cross stitch PC programs, and it has me wanting to create Final Fantasy themed pictures/keyrings. I have two birds, one Bengalese Finch, one Zebra finch. They look so cute in their nest - I'm known as The Egg Snatcher, because there isn't room for another bird in their cage so all eggs either go swim-swim down the loo (my mother did that when I was away once, and the text made me laugh) or get chucked in the bin. I traumatise them if I drop them on the cage floor - and I feel so guilty because they know when the eggs aren't there! I'd like to thank Clover for having me appear in this feature - she's awesome! I love the whole blogging/writing online community - Twitter helps me keep in touch with everyone. Thank you SO MUCH, Nayuleska! That was absolutely fascinating. I loved reading about your strange mix of influences from the Disney princesses to anime to fantasy novels. I think you're brilliant. Thank you for having me here Clover! The pics are perfect.